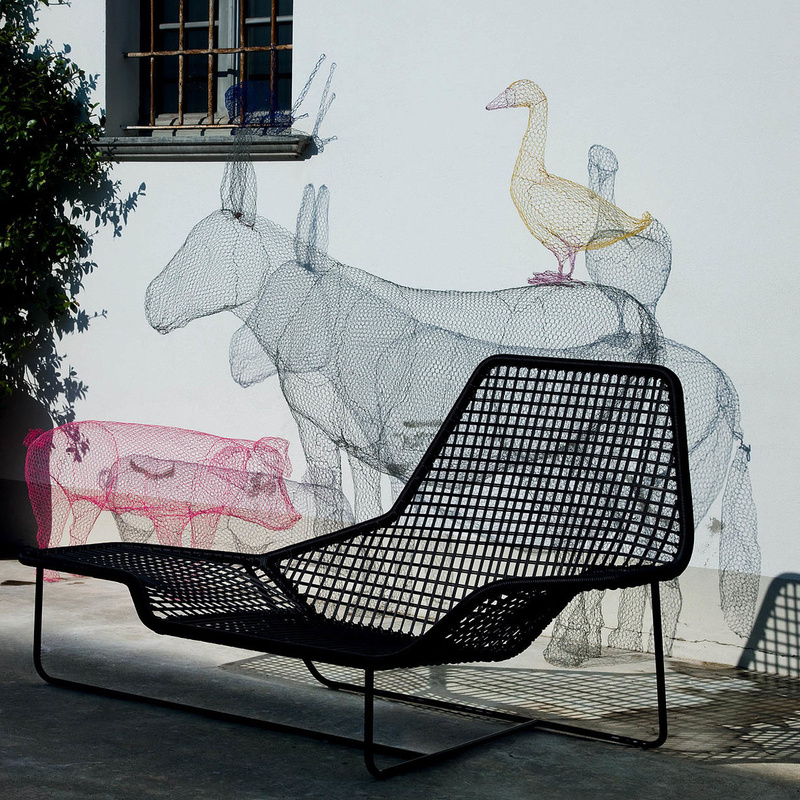 The Lama chaise longue by Zanotta: an original creation for indoor and outdoor environments. This model is a decorative item that is far from usual both in regard to aesthetics and design and which can be successfully placed in both indoor and outdoor environments. 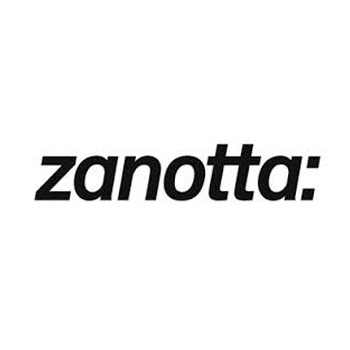 Lama is a chaise longue, a seat that in the old days was placed in the most elegant homes and which the well-known Italian brand Zanotta has decided to revisit in a rather innovative way. A chaise longue is a piece of furniture that can be used to sit on, just as you would do on a common sofa, or to lie on, to fully let go and unwind. 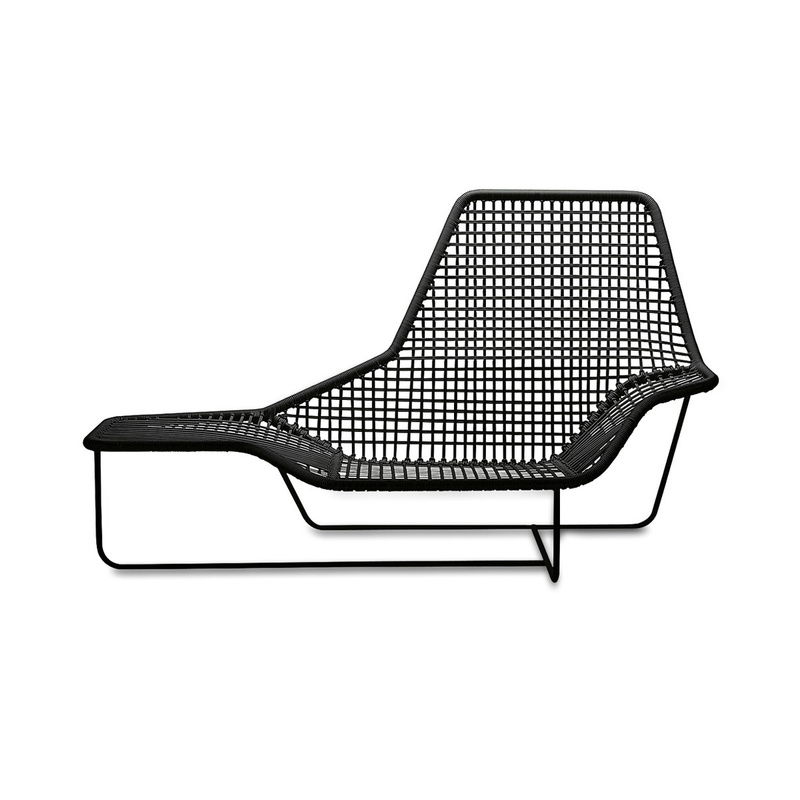 The modern look of this item is clear: while the classic chaise longue generally had elaborate designs and a rather massive structure, Lama is slim, simple, and perfectly geometric. 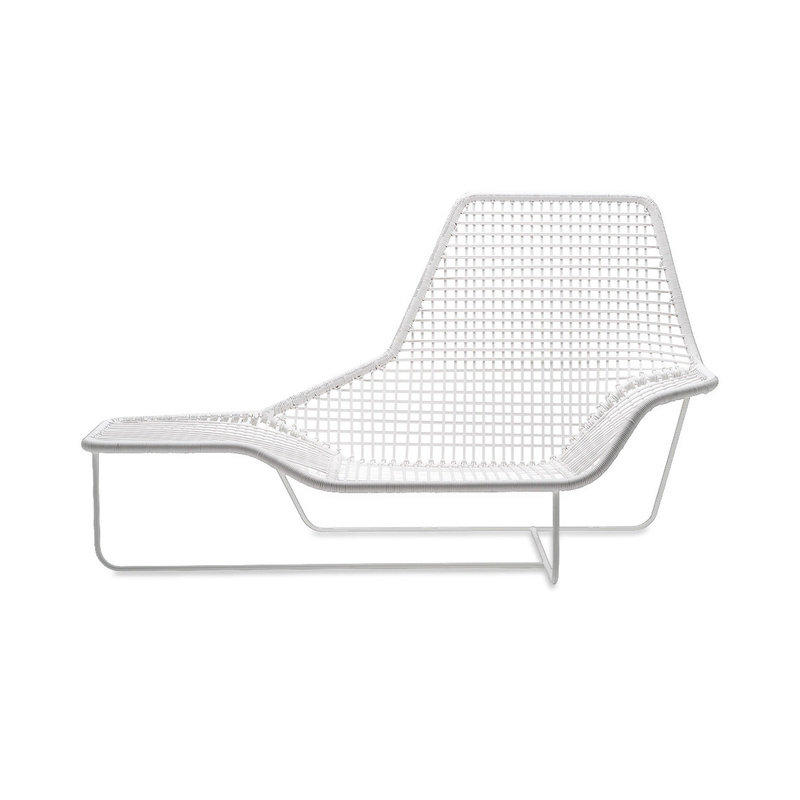 The horizontal surface of this seat is suspended and, just as in a classic chaise longue, you can use it indiscriminately to sit or lay back as its ergonomic design guarantees maximum comfort. The backrest does not go unnoticed, also inspired by more traditional models but clearly revisited in a contemporary style. 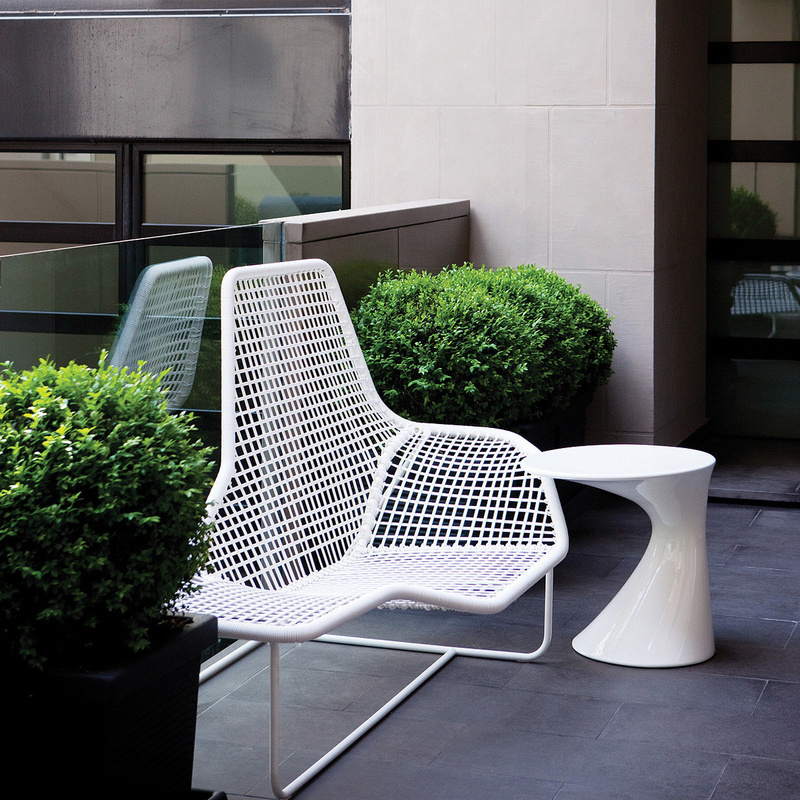 As mentioned earlier, the Lama chaise longue can be used both for indoor and outdoor environments: the material with which it is made, i.e. specially-treated steel, does not fear any kind of weather condition. 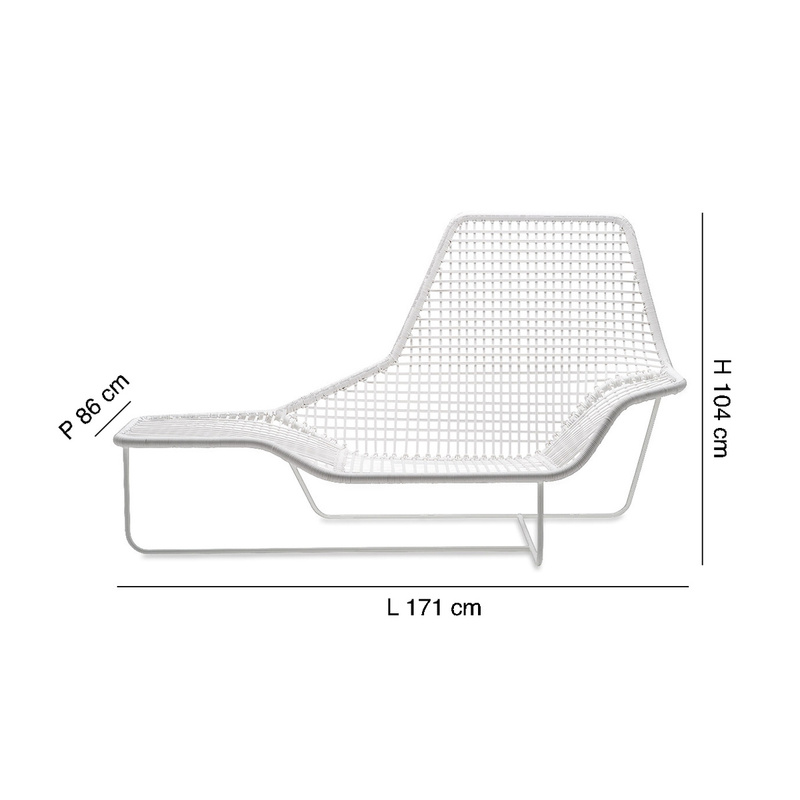 This chaise longue also features robust PVC wires with nylon inner reinforcement to support the metal structure, perfectly similar to the seat from a chromatic point of view. 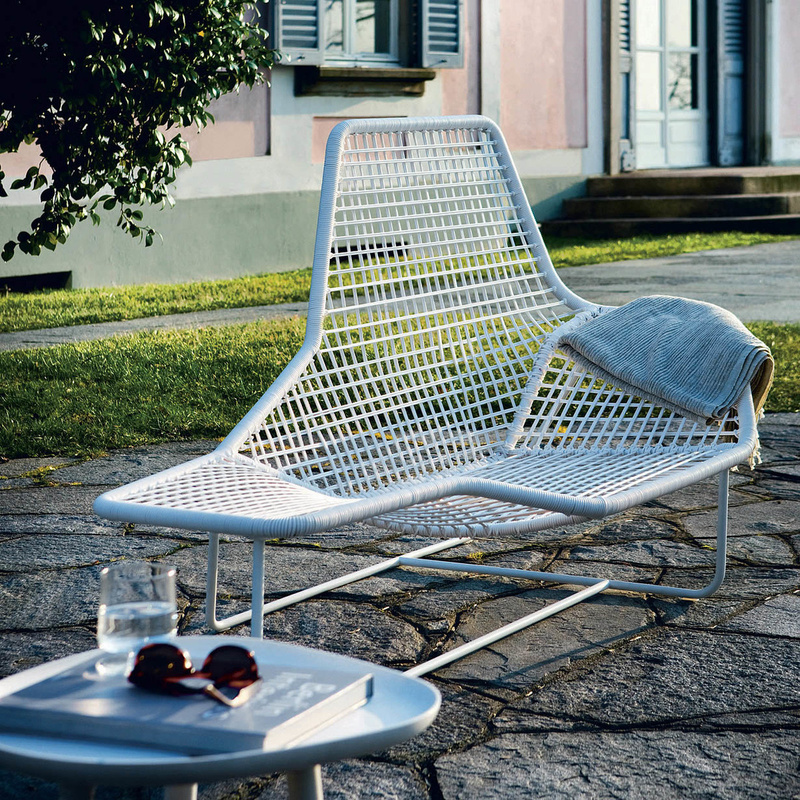 This unusual chaise longue can be placed successfully in the most different environments, and it can be a wonderful idea to pair two or more armchairs, in the garden for example, or perhaps near a swimming pool.